The deposed Catalan vice president, Oriol Junqueras, who has spent the past three months in jail, proposed combining a symbolic and an effective presidency for the country. The pro-independence bloc is facing Madrid’s opposition to swear in Carles Puigdemont as leader although the majority of the Parliament has agreed to do so. The plenary session to swear him in has been delayed while the Spanish Constitutional Court takes a final decision on the legality of his bid. But as Puigdemont is unlikely to get the judges’ approval, Junqueras proposes swearing in an executive president, that is, someone who is accepted by Madrid. But, in an interview to a Spanish digital newspaper, he said that this could be combined with a “legitimate, even though symbolic” president. This could be Puigdemont’s spot, as the pro-independence bloc considers him as the legitimate Catalan president despite being removed by the Spanish government three months ago. The main unionist party, Ciutadans, has also had its say over who will be the next Catalan president. 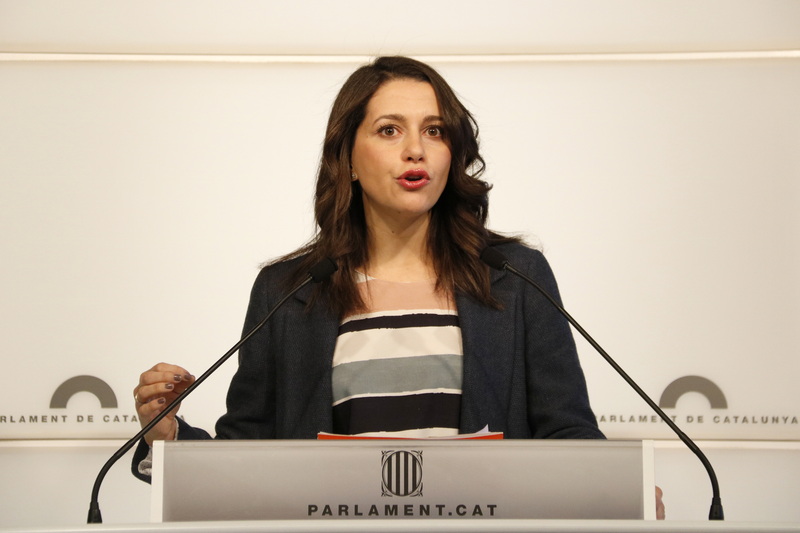 “Puigdemont will not be president again, we will not be independent next year, we will not be recognized by anyone,” said the party leader in Catalonia, Inés Arrimadas. In an interview, she called on the pro-independence parties to be realistic and to admit in public what many of them “say in private”. Her remarks come one day after some leaked private messages of the deposed president came to light, in which he said “this is over,” referring to his bid for president. “Our people have sacrificed us,” Puigdemont also wrote.